Suzanna trained as a scholar at the RAD, taught by Winifred Edwards amongst others. She then went on to the Royal Ballet School where she gained her Advanced RAD qualification, also under the supervision of Winifred Edwards and Barbara Fewster. On joining the Royal Ballet Company in 1962 Suzanna was taught by the likes of Valentina Pereyaslvec, Hector Zaraspe, Brian Shaw, Gerd Larson, Terry Westmoreland, Madame Nijinska, Ninette De Valois, Kenneth Macmillan, Svetlana Beriosiva, Stanley Williams, Frederick Ashton, Michael Somes, Pamela May & Antoinette Sibley to name but a few. She was also lucky enough to dance in the company with Rudolf Nureyev, and Dame Margot Fonteyn as well as Frank Freeman, Lynn Seymore, Wayne Sleep and many others. The Pris de Lausanne class at Elmhurst Ballet School. Repertoire classes at Rambert Academy and Arts Educational schools, London. RAD exam classes at Diana Vere’s school in Sheen. Summer school classes at Edwina Norris’ school in Birmingham. Beatrice Potter ~ A Tale of a Tale. Lucy trained at Bush Davies School where she achieved RAD Ballet & ISTD Ballet, Modern & Tap examinations to Advanced level & achieved gold awards in Guildhall and LAMDA drama examinations. On leaving Bush Davies she then went on to train at Arts Ed London graduating with a diploma in Musical Theatre in 1991. On graduating, Lucy was honoured to be invited to return to Arts Ed to teach jazz & ballet classes and choreograph productions. Since then Lucy has taught in many schools in and around London and Surrey. Lucy gained her RAD teaching qualifications in 2008 and as well as doing the administration, marketing & teaching for Suzanna Raymond School of Dance is currently working as Head of Drama at Notre Dame Prep School in Cobham. Lucy is also a LAMDA teacher and writes plays for workshops and school productions. Lucy started her ballet training aged just 3 years old, with Josephine Hollings in Teddington before Suzanna took over the school in 1978. Georgia trained at the Italia Conti Arts Centre graduating in 2013 with a Diploma in Musical Theatre. Whilst there she gained her ISTD teacher qualifications, DDI’s &DDE’s in Ballet, Tap and Modern as well as completing the Professional Certificate in Education (PCE). 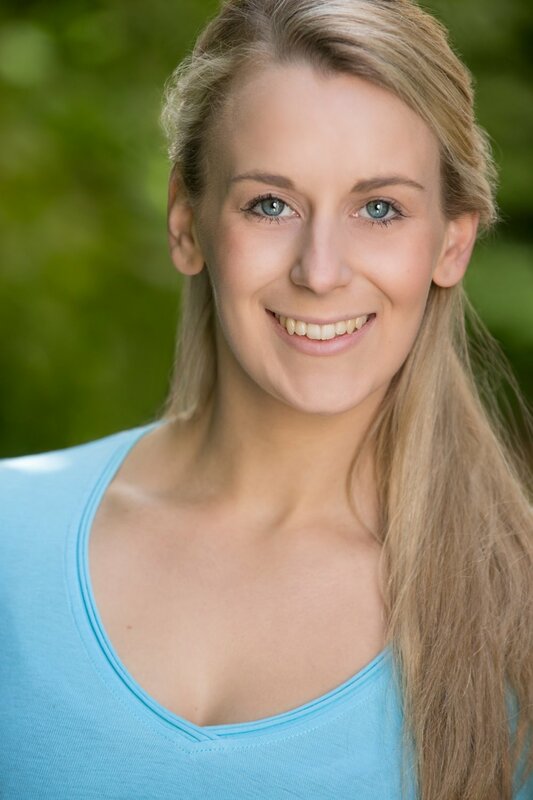 Since graduating Georgia has performed as Sasha and Dance Captain in ‘Feelgood Academy’ (Stratford Circus), with Anton du Beke and Erin Boag’s ‘A Night of Music and Dance’ (Isle of Mann) and continues to dance for ‘The Forgotten Fairground Project’ in various parts of the country. Having been a student at the Suzanna Raymond School of Dance as a child, Georgia is proud to be back teaching for the school. Nicola graduated from Bodywork College Cambridge in July 2018 following 3 years full-time vocational training leading to the Diploma in Musical Theatre. Prior to this she completed a foundation year at Urdang Academy. Before commencing full-time training, Nicola studied RAD ballet and ISTD ballet, modern and tap to Advanced Level. While at Bodywork, Nicola developed a particular interest in contemporary/jazz chorography, creating a piece for the graduation show. Nicola is looking forward to developing this interest further with us and our students, especially as she started as a student with us at the age of 3! Kate is also an ex SRSD student and we are thrilled that she is teaching a regular contemporary class for us. Kate completed her professional training with a BA (Hons in Dance Theatre) from Laban (now Trinity Laban) and then worked as a freelance dancer in regional contemporary dance companies. After many years teaching contemporary technique and choreography in higher education, Kate now works in a freelance capacity specialising in contemporary dance and creative movement, as well as regular project coordinating for community dance events, including dance platforms, flashmobs, boys dance and is currently setting up a Youth Dance Company in Woking. Recently deciding to specialise in Dance for Health, particularly for the frail elderly, those with Dementia and Parkinson’s Kate co-runs iID company delivering intergenerational dance opportunities as well as weekly dance classes. Alex took his first ballet lessons with Denise Kelly, Suzanna Raymond and Lynn Hughes in Teddington and continued with John O'Brien at the Royal Academy of Dance. After graduating from the Central School of Ballet in 1996, he took his first job in Austria with the Graz Ballet. He was a member of the Ballet de Zaragoza in Spain from 2001 – 2005. He returned to Austria to work in Linz and then completed his career with various companies in Germany as a soloist. His repertoire included roles in classics such as Swan Lake, Giselle, Nutcracker, Raymonda, Cinderella, Romeo and Juliet, Les Patineurs and Allegro Brillante. He also performed in various musicals. His previous teaching engagements include work as Guest Ballet Master for several companies in Germany. He completed a Master of Arts degree in teaching from the Palucca University of Dance in Dresden and in 2014 graduated from the Royal Academy of Dance's Professional Dancer’s Teachers Diploma with Distinction. He has additionally trained as a Gyrotonic Instructor. Currently, he is teaching ballet at London Studio Centre, Millennium Performing Arts, The Place, GAPA and at the RAD Dance School.